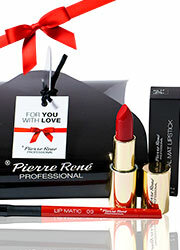 Pierre Rene is not a brand you'll find in any drug store or cosmetic outlet in the country. That's because they are a professional make up brand that have only ever made make up for the film industry and modelling events. 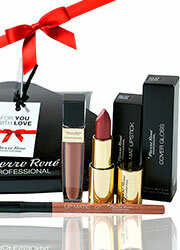 They are a favourite among movie studios, make up artists and are even the brand used by Miss Universe. But now they want to bring this amazing range of items into the world at large with a handful of gift sets that are the perfect choice for make up enthusiasts all over the world. This nail polish set is the ideal collection for adding three colours that will cover nearly any scenario, with a ruby red for night time, a metallic purple for something just as feminine but more subtle and a glass effect for the most demure or natural look possible. The set also comes with a presentation box and an organza bag.